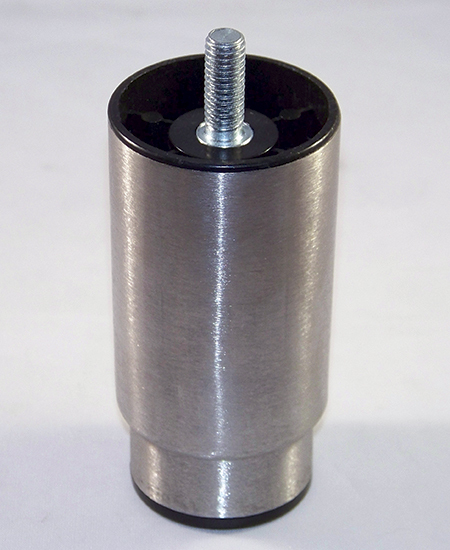 IEC’s adjustable metal legs are available in stainless steel, matte nickel and black epoxy finish. The base diameter of the foot is 1-3/8. You can also choose a different foot. To calculate the overall height, add the leg height and the foot adjustment height.